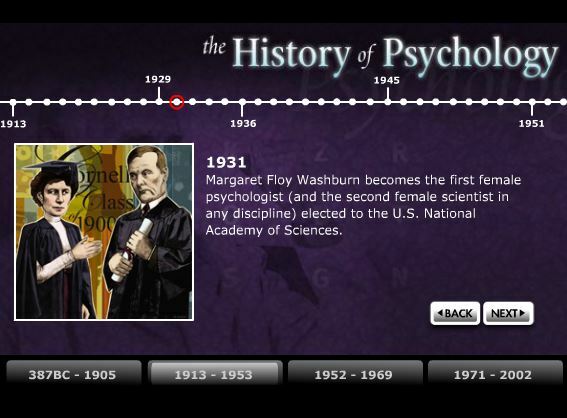 The first Psychology lab was created in 1879, in a University in Germany. The experimenter? William Wundt: known now as the father of Psychology. There, he and other colleagues helped create an new experimental device. His goal was to find measure atoms of the mind. Eventually, psychology became split into two different sections: structuralism and functionalism. Structuralism was endorsed by Wundt and Edward Bradford Titchener. This view used introspection, or the observation of ones own mental/emotional processes, to examine the structure of the human mind. Functionalism was promoted by William James. It was also influenced by Darwin. This view was focused on how mental and behavioral processes work or function. Specifically, how an individual is able to survive, adapt, and thrive. Myers, D. G., & Dewall, C. N. (2015). Psychology. New York, NY: Worth Publishers. What Can You Do With a UW-Green Bay Psychology Degree?